Chief Magistrate Ann McLennan today remanded a former police officer for the murder of 19-year-old Ryan Sergeant, known as Harry, who was gunned down outside the Rio Night Club last September. 35-year-old murder accused, Lloyd Roberts known as Robbie, was not required to plea to the charge which alleged that on September 26 last year, he murdered 19-year-old Sergeant. Roberts did not have a lawyer. Police Prosecutor, Deniro Jones, explained to the court that both the police investigation and file are complete with a total of 31 witnesses slated to be called once trial commences. The matter will come up again on March 10. Sergeant, also known as “Harry”, of Festival City, was shot dead by a group of men while his friend Jeffrey Ferrel was injured. The shooting incident reportedly stemmed from an argument over money and “girls” at the popular nightclub about 02:30 on September 26, 2016 outside the Rio Night Club in Queenstown. Sergeant was reportedly picked up by his colleagues after the shooting and taken to the Woodlands Hospital. Sergeant was shot once to the jaw. 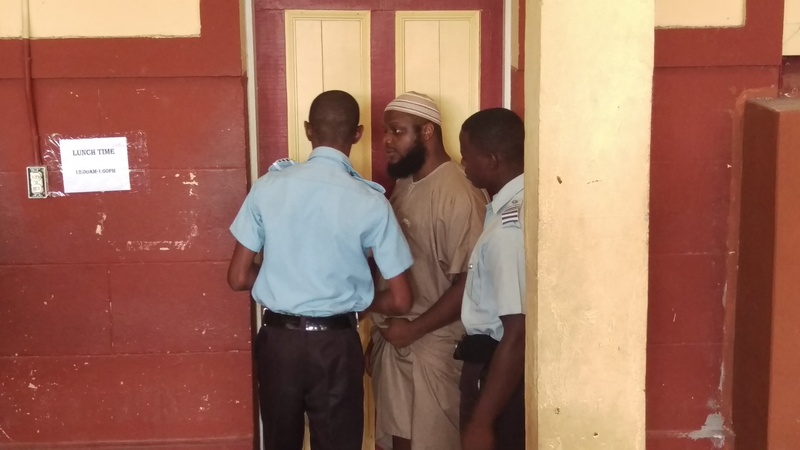 Former murder accused, Leon Duncan called ‘Whistle’ was charged in February for discharging a loaded firearm at Jeffery Ferrell, with intent to murder him in that very incident. Duncan was remanded to prison. Lloyd Roberts was already remanded before being brought to court today. He was arrested a short while ago along with two others in connection with the discovery of guns and ammunition during a police raid at a John Street, Campbellville home. An AK-47 assault rifle and 7 .68×39 rounds of ammunition were found in their possession on January 22, 2017. None of the men were holders of firearm licenses. It is believed Roberts was freed in 2010 by a City Magistrate after he was accused of murdering Romeo De Agrella, and his son, Clint De Agrella, who died in March, 2007 in the North West District.